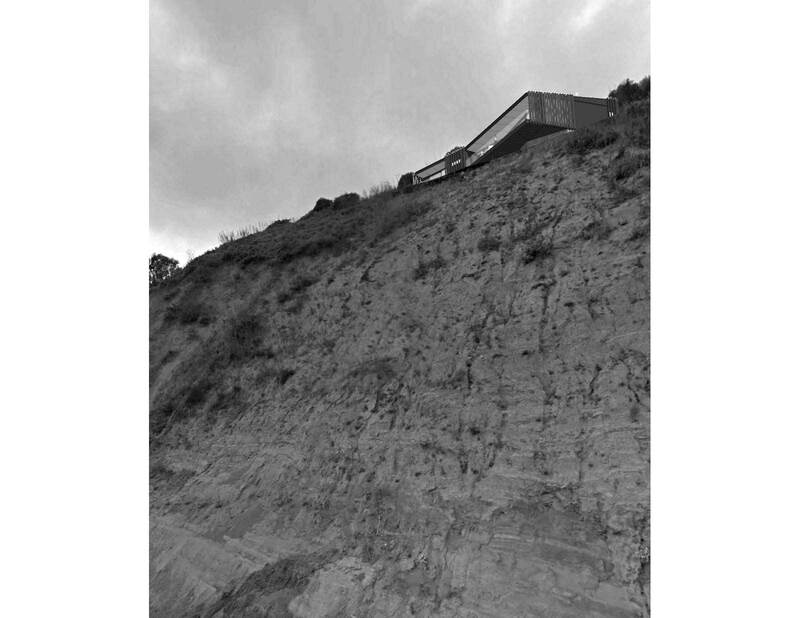 This design (in progress) for a dramatic cliff top site in Nelson will take in uninterrupted views across Nelson Bay. The simple but strong form bends and cantilevers delicately toward north and Haulashore Island whilst also opening the heart of the house up to a rear courtyard protected from the sea breeze. Materials will be a balance of metal and timber cladding.